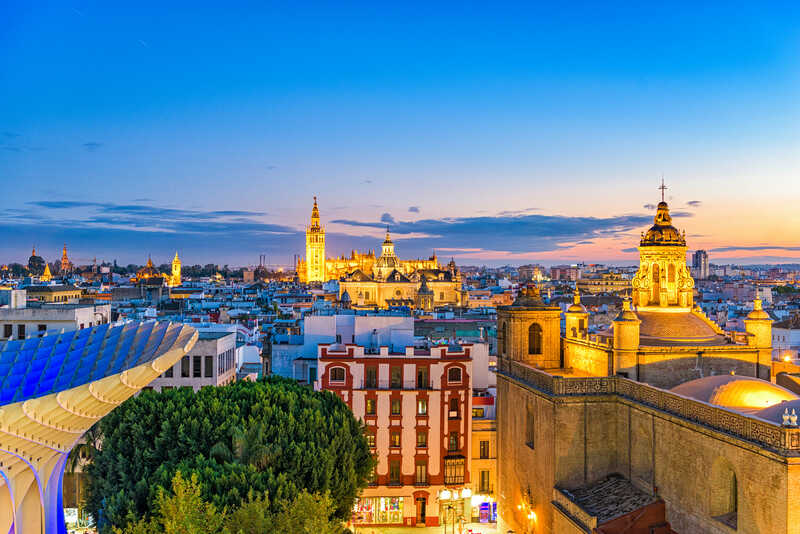 This program is a faculty-led summer program that will allow students to complete their Spanish for the Professions Minor in the Business Track, visit local companies and meet business people while experiencing to the fullest the beautiful city of Sevilla in Southern Spain. First option- Register for both summer sessions and earn 12 credit hours. This option is for students who have not taken SPAN 261 (3 credits) at UNC and would like to take this course in Sevilla, starting in mid-May. Along with SEVI 261, students will also take a Spanish history and culture course (3 credits) in the first summer session. Then, in the second session, students will take two additional courses: Spanish for Business (SPAN 320) and Spanish for Professional and Community Engagement (SPAN 329). This option is for students who have already completed the prerequisite SPAN 261 at UNC and only wish to enroll in the second session to take SPAN 320 and SPAN 329. 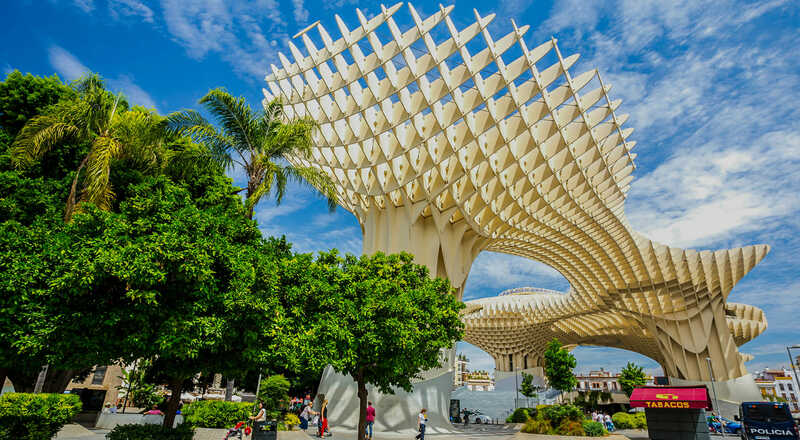 Students who choose this option will still need to take an ‘allied course’ either before or after their visit to Seville in order to complete the minor. Course that uses literature, film, and culture as a basis for reviewing grammatical concepts, developing writing competency, and improving overall communication skills. A general introduction to the political and cultural history of Spain. A UNC-approved professor will teach the course. Students will receive 3 TREQ credits for the course. Taught by a UNC professor, students receive UNC graded credit for the course; the grade received in this course WILL affect the student’s UNC GPA. Prerequisite, SPAN 265. All-skills course with review of grammar and extensive writing and speaking practice. Vocabulary, readings, and activities geared toward the language of business professions in the context of the United States Hispanic community. Prerequisite, SPAN 320, 321, 322, 323, or 327. Seventh-semester capstone course applying skills in Spanish language and cultures to professional and community contexts. Assignments include professional documents, community service work and projects, and a research project. Open only to students in the minor in Spanish for the professions. Basilippo. Spain is the world’s largest producer of olive oil by far and although Italy is a high exporter of olive oil, it is also a large importer. When you go into Trader Joe’s and buy a bottle of “Italian Olive Oil” under an Italian brand name, chances are it is Spanish olive oil that has been shipped to Italy, bottled there and shipped out under an Italian brand. Olive oil production is an ancient business but Basilippo is a relatively new manufacturer of olive oil and is family-owned. Bodegas Góngora also represents an ancient industry, wine, and the current management represents the seventh generation running this family business. Although in operation for more than 300 years, more recently (in the last 70 years), they have opened retail catering outlets in Sevilla. The location you will visit is where they make wine and brandy as well as rent out the facility for weddings, christenings, first communions, and so on. Glamping Hub is a recently started Internet business based in Sevilla. It can be described as a business that is B2B2C in that it sits in the middle between the end customer and the provider. The provider is a company that offers exotic or glamorous camping sites and facilities and the end customer is a person looking for something different from the traditional vacation accommodations, which might be a tree house, a yurt, a vintage caravan or another unique choice. The SPAN 320 and SPAN 329 courses will receive graded UNC credit. Please refer to the Credit Information Sheet on the UNC Study Abroad website for more information. All grades (notas, calificaciones) in courses other than SPAN 320 and SPAN 329 will be based either on a number scale (1-10, 10 being the highest grade) or the words sobresaliente, notable, aprobado, suspenso. Students will need to receive a grade of 5 or aprobado in order to receive UNC transfer equivalency (TREQ) credit. Please refer to the Credit Information Sheet on the UNC Study Abroad website.